Excellent customer service is a hot commodity in today’s challenging economic environment. Your customer relations are truly your only sustainable competitive advantage for growth and profitability. The brutal fact, however, is that 75 percent of your customers would gladly do business with your competition! Regardless of how low your prices are or how much your service is needed, customers will shop elsewhere — even pay more money — to be treated well. 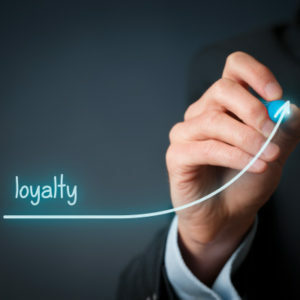 However, setting your company apart in a cutthroat business environment where consumer loyalty has gone out the window is possible! One way is to treat employees the way you expect them to treat your customers — and each other. When employees are treated well, they’re much more likely to model those behaviors and pass those good vibes on to customers. And they’ll feel good about working for your organization as well. Savvy leaders understand that quality employee relations create a quality customer experience. A happy worker is a more productive worker who takes ownership in their job and the company, and in turn, serves customers because they perceive them to be “our customers” rather than simply “the company’s.” Strengthening employee relations will go a long way in strengthening customer relations. Here are three simple ways to keep in mind. These rules apply to all customers — internally and externally. Did you know? 75% of your customers would gladly do business with your competition! First impressions are lasting impressions. Attracting — and keeping — quality personnel begins the minute that prospect interacts with your organization — whether they call on the phone or walk through the door. Creating an appealing environment and a relaxed and supportive atmosphere is the first step toward boosting employee morale before an employee contract is ever signed. An environment or respect that advocates growth and cultivates the human spirit is sure to attract and nurture successful employees. This carries through to your customers as well. Make sure that they are greeted in a manner that indicates you value their business. Work areas — regardless of your business — should always look clean, presentable and professional. This inspires confidence in your organization and the products or service you sell. Expectations change in business. As the marketplace and customer expectations shift, so do the steps and actions required to meet those changing demands. Keeping employees apprised of changes in expectations is key to employee satisfaction. Clearly communicating revised expectations will alleviate a tremendous amount of stress in employees who typically strive to do a good job, but who need to understand what that entails in order to succeed. A consistent follow-up to maintain accountability is also a critical element of this key step. There’s nothing more frustrating than being reprimanded on Monday morning for doing what was acceptable Friday afternoon. Lack of appreciation, whether real or perceived, has caused many valuable employees to seek employment elsewhere. Recognition is the ultimate Performance Excelerator™. A simple thank you for a job well done can alleviate much of that feeling of neglect. Just as employees are expected to thank a customer for their business, the same should hold true for employees. Taking the time to say “thank you” for a job well done, diligence in getting to work on time, going the extra mile, or anything else the employee does is a simple, yet priceless means of showing employees how valuable they are. And they won’t forget to show the same appreciation to your customers. Customer retention is challenging in today’s marketplace. But there are ways to building strong employee relations while developing their skills to serve customers. Consider it the golden rule of customer service… Do unto your employees, as you would have them do unto your customers.